Unique Puppet Show Party Entertainers for Hire in New Jersey. The art of puppeteering has existed for hundreds of years. A talented puppeteer will entertain your guests by making their puppet come to life with their silly and witty antics. Many performance-based touring companies also have a repertoire of themed shows and stories to choose from. KidsParties.Party features the top ventriloquists and performers for children’s parties and events in New Jersey. Want to learn about the different types of puppetry? Scroll below to find out. Did you know that puppeteering is a diverse art from? It’s true. There are many different types of puppetry, and each one takes a lot of practice and skill to perfect. We’ve listed some of the main styles below. 1. Glove Puppet: This type of puppet is created by the artist wearing a simple cotton glove. In lieu of a moveable mouthpiece, the puppeteer’s fingers and thumb form a mouth. This type of puppetry requires the puppeteer to really work their fingers in order to be convincing. 2. Shadow Puppet: Popular at sleepovers and camping trips, a shadow puppeteer manipulates their fingers and hands in such a way that its shadow forms a specific shape. A truly advanced shadow puppeteer can make complex patterns. 3. Hand Puppet: Hand puppetry is one of the more common styles of puppetry. The puppeteer sticks his hand through the bottom of the puppet, and uses his hand to convincingly move its mouth. Some hand puppets also include a rod that allows the artist to move its arms. You might have seen these types of puppets on Sesame Street or The Muppets. 4. Marionettes: Marionettes are some of the most difficult puppets to master. A marionette is a puppet that hangs from strings, which are then attached to handles. The marionettist then flicks their arms and wrists to move the limbs and head of the marionette. Depending on the size of the marionette, a single puppet can need up to 30 strings! 5. Ventriloquism: Another challenging art form to learn, a ventriloquist is a performer who learns how to speak without moving their lips, making it look like their dummy is the one talking! Ventriloquism is typically done as a comedy routine, where the comedian is teased, heckled and made fun of by their puppet friend. 6. Finger Puppets: Finger puppets are miniature figures that are similar to hand puppets, but cover the puppeteer's fingers. 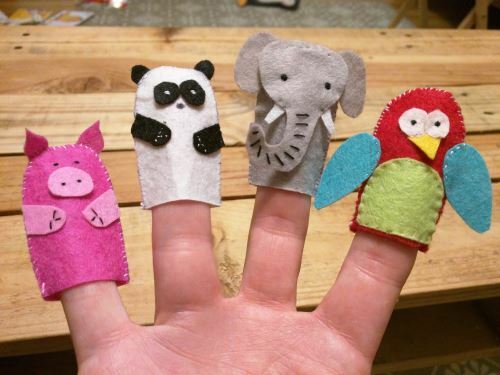 Finger puppets are popular for children because they are very simple to use. One of the best things about puppet shows is that your guests will be treated to a theatrical performance. No matter how old they are, a skilled puppeteer will keep them engaged during the party. Need to book a performer for your event in New Jersey? KidsParties.Party features the best touring companies and performers. 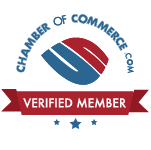 Browse through the website or call 732-298-6015 and we can make a recommendation. Do you need more birthday party ideas? We have a fun blog full of great birthday ideas! Check it out to find tips and advice on your next birthday party. If you find the history of puppetry interesting, then you will love reading about the birthday traditions that take place every day. We may have our own traditions, but every culture is different. Maybe these can inspire your next birthday party. Are you a puppet entertainer? Click here to fill out a quick form so that you can get listed on KidsParties.party!